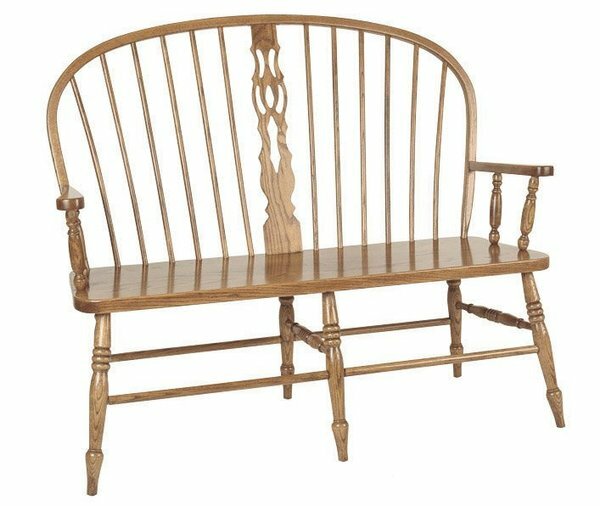 Imagine this finely crafted Amish Slot Bench gracing a foyer or sunny nook. Cozy and heartwarming, this colonial style furniture offers elements of Windsor comfort and grace. A wood bench like this fits beautifully with the relaxed nature of a country style collection. You can add a storage box to this wood bench if you wish. A DutchCrafters specialty, our solid wood benches are crafted by hand. You can rely on them looking sensational and being comfortable to sit in for years to come. There's so much you can do with Amish furniture to customize it for your home. We can't wait to see what you select for your new bench. You can place an order online or feel free to email or call a Furniture Specialist who can answer any questions you may have. Thank you for shopping with DutchCrafters. Height from Floor to Top of Back: 41"